Pete and Nikki Blodgett have been a staple at Sunshine Gospel Ministries for the past 15 years. We thank them for their faithful service and pray for their future endeavors. Yes, it’s true. After 15 years, 4 kids, hundreds of lives impacted, a whole neighborhood loved on as coffee was served with a dose of advice and empathy, sermons preached, their home a sanctuary and landing pad for whoever needed it, a bajillion Awana circles run around, chairs set up and taken down, lessons planned, trips with teens survived, softball games played, thousands of hugs given, Pete and Nikki Blodgett are pursuing their next assignment. 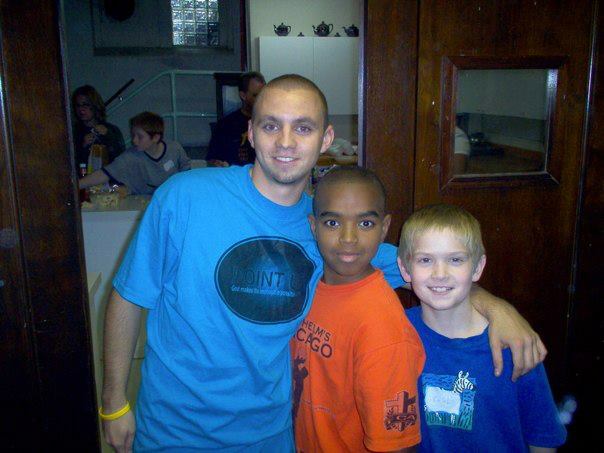 Pete poses with Sunshine youth (circa 2012) Aaron Epison and Caleb Hamernick. Pete grew up primarily in rural Indiana. After college, he heard about Sunshine’s camp and joined our summer staff as a counselor in 2002. He had always been drawn to urban ministry so he raised support and came on staff to work in Cabrini Green. Then he, along with our city staff, started learning more and more about the reconciliation principles of the Christian Community Development Association. Pete, along with Dave Clark, felt the leading of God to move to Woodlawn ahead of the rest of the staff and open a home where they could welcome young men who had no place to live. They called it The APT. He helped run our middle school program in Cabrini and then when Sunshine relocated to Woodlawn he continued working with the youth in after-school programs. 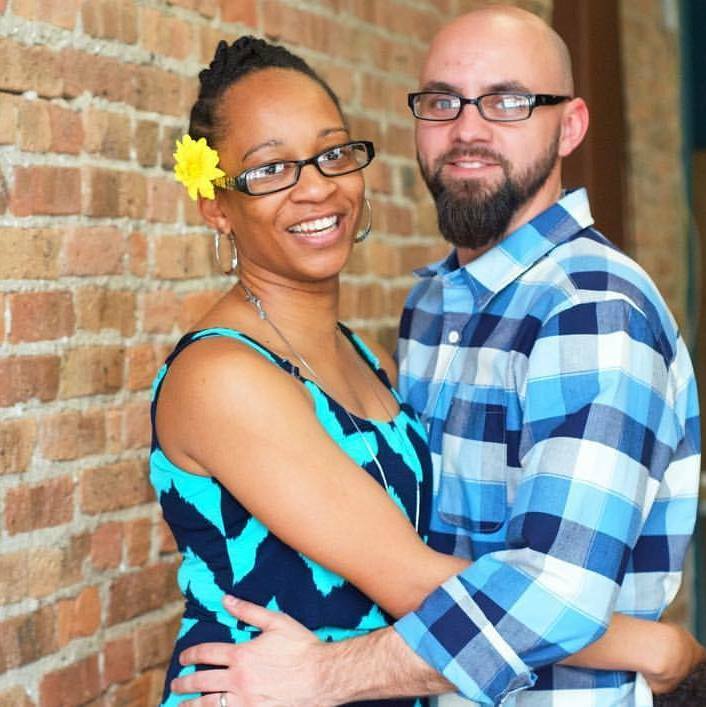 He met Nikki, a Chicago-native who also worked in an outreach music ministry. 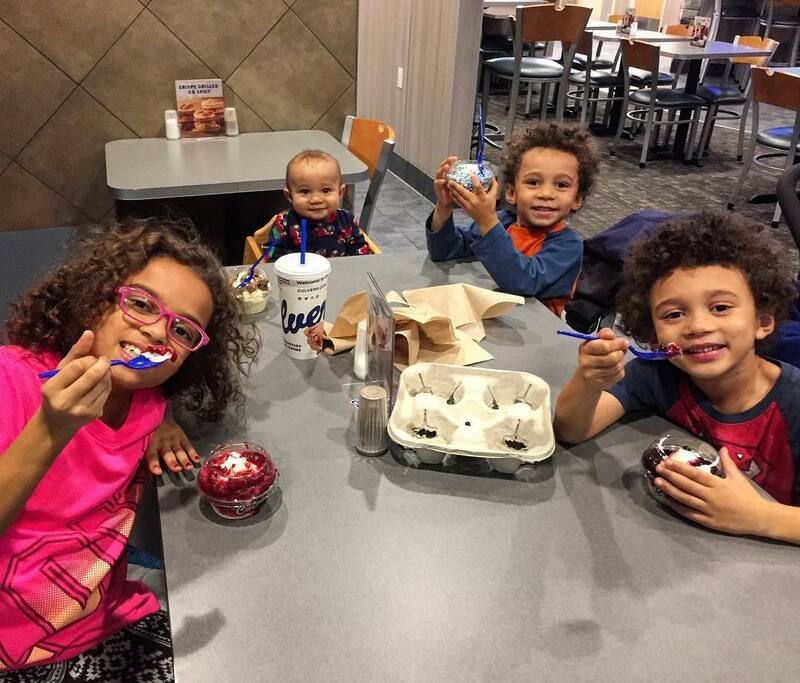 They married in 2007 and now have four children (Jayla, DJ, Aaron, and Jaxon). They have served in various roles at Sunshine from youth staff, to pastoring a church, to working at Greenline coffee, to doing accounting work behind the scenes. They also own a home near Sunshine and work to further community revitalization in the neighborhood. When asked to name the Blodgetts’ most significant contribution to Sunshine and the Woodlawn community over the past 15 years, the answer is almost always “consistency.” They are always there for you, whether you just need to talk if you are having something at school, if you are getting sent off to prom, graduating or even if there is a funeral. Whatever the event Pete and Nikki would be there if you asked. They were always serving others or opening their home to youth. Marquis McCoy grew up with Pete being one of his mentors and saw him as a neighborhood hero that would step in during crisis situations. Join us in thanking the Blodgetts for their faithful service to us and to our community. Stay tuned for their next endeavors. 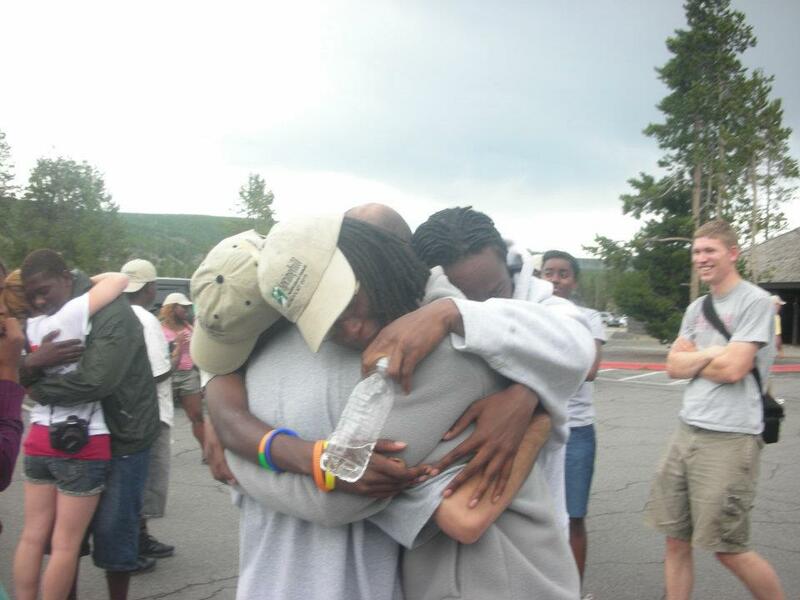 Pete is embraced by Sunshine youth on one of the many trips he lead.